AWWIN Inc is pleased to announce the Inaugural 2013 Ten Women In Black “Talking Real” Roundtable Discussion & Luncheon, which takes place Saturday, March 23 at the beautiful Country Inn & Suites by Carlson in the Historic District of Savannah Georgia. 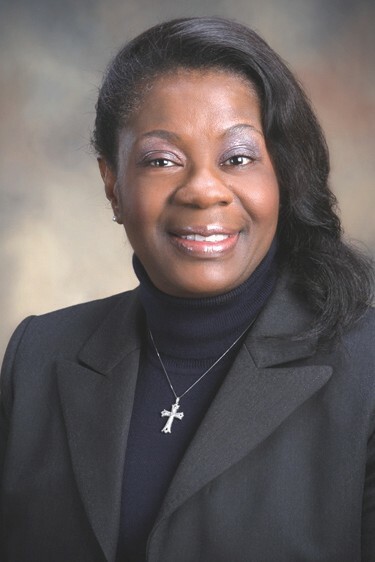 We are truly excited to have Acting City Manager Stephanie Stokes Cutter of Savannah, Georgia “Pay It Forward” as she contributes to the Ten Women In Black roundtable discussion. She is joined by other pioneering panelists including: Diana Harvey Johnson of Savannah Georgia, Pastor Kimberly Santana of Port Wentworth, Rosanne Hearn of Savannah Georgia, Pastor Lydia Syed of Savannah, Georgia, Terry Lollis of Pooler, Georgia, Nora Ann Watson of Statesboro, Georgia, Elizabeth Sneed Kirkland of Sylvania, Georgia, Danielle Mearis of Richmond Hill, Georgia and Sarahlyn U. Argrow Founder of AWWIN, Inc. Moderator of Ten Women In Black is Andrea McPherson of Worldwide Hair, Inc.
AWWIN, Inc is hosting a new roundtable discussion and luncheon for all women. You will hear from some of our communities most outstanding women leaders. They will share some of their triumphs as well as some of their challenges. It is through this discussion the women on the panel will “Pay It Forward” by engaging in meaningful dialogue with the hope of building networks between women from all walks of life in our communities. From this discussion it is the hope of the founder of AWWIN to motivate and inspire women to rise above their circumstances and grab another woman’s hand in the process. Through the panelists, Ms. Argrow hopes to inspire all attending that no dream is impossible. Proceeds from the event will benefit ACAPP (AWWIN childcare Assistance Planning Program). This pilot program will provide childcare stipends for single working low income women. Considering the state of the economy we live in today, we cannot afford to neglect the importance of highquality child care. ACAPP will also encompass the following components: Job Retention Counseling, Life-Skills Training, Asset Management and Parenting Classes. ACAPP will be enhanced by the AWWIN support services for living necessities such as assistance with Utility Bills, Transportation Stipends, etc. ACAPP is a collaboration between AWWIN, Inc, Wesley Women Center and the Lady Bamford Center. Tickets are $20.00. Limited Sponsorships Are Available. Event is from 10:00AM until 3:00PM.